MY FATHER ALLEN SMILEY | STEP BEHIND MY SCREEN OF STORIES. The inner voice where gaps of expression are liberated. I thought you might be interested in this page from Amazon. The sunlight shatters the curtain-less bedroom window and burns into my eyes at daybreak. From this unsheltered spot I rise to see a pot of blue sky over the rooftops, and the expectant afternoon showers building up in the clouds. The sky is filled with crows, eagles, and magpies lingering overhead weightless and free-falling, beyond all of us caught behind electronics. The days filled with desert showers that drench the soil and turn the arid dry land green and lush. For this I am thankful. At the end of the day, I am inclined to sit in the courtyard and watch the sky manifest colors unmatched by any Dunn Edwards collection. By the time dinner is topical, I have substituted preparing food, to just snacking, This August underscores the need to sit down, to sort of bob my head to Nancy Wilson music, and do very little. 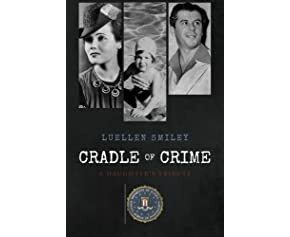 I’m self publishing Cradle of Crime- My Father, Me, and the Mob.